A ceremony to celebrate a new sultan’s accession to the throne will be held in Afar Region in a week’s time. Hanfareh Ali Mirah will succeed his late father, Sultan Ali Mirah as the spiritual chief of the Afars. The new sultan will be crowned at an outdoor coronation ceremony to be held in Asayta, capital of the Afar region on November 10, 2011. Both spiritual and traditional leader to the two million Afar people who live in a triangle shape region between Eritrea, Ethiopia and Djibouti, the sultan will assume important responsibilities at both regional and national levels, Aramis Houmed, advisor to the new sultan, told Addis Journal. The move follows the death last April of Sultan Ali Mirah.Aramis said the appointment will make the process of succession smoother and more orderly.While traditional leaders hold few constitutional powers, they continue to exert significant influence, the advisor said.They are seen as custodians of both religion and tradition. Hanfreh Ali Mirah, aged 60, is a member of the most powerful family group in Afar, and one of the sons of sultan Ali Mirah, the spiritual chief of the Afars and founder of the Afar Liberation Front (ALF). Thousands of members of the Afar community, clan leaders and elders from Ethiopia, Eritrea and Djibouti, representative of the federal government of Ethiopia and Djibouti, and diplomatic corpses in Addis Ababa are expected to participate in the historic rites and wish the new sultan well. Another of heir to the sultanate, Habib Ali Mirah who at times has been at loggerhead with older brother will also be attending the event. Born in 1951, Mirah along with his father fought in the guerrilla war against Mengistu Haile Mariam and later joined forces with the EPRDF collation, which came to power in 1991. 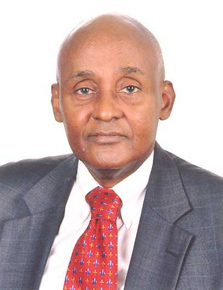 When the new Afar region was set up in 1992, Mirah joined his father as an administrator of the Afar region set up in 1992 and later served as president of the Afar regional State (1995-96). He has been the leader of a faction of the Afar regional Front since 1996. He also served as ambassador of Ethiopia to Kuwait. The late Sultan Ali Mirah was a revered figure and one of leading players in Ethiopian and regional politics for four decades. Following the installation as the sultan of Awsa by Emperor Haile Selassie in 1944, Ali Mirah Hanfre served as leader of and spokesmen for Afar. With the overthrow of Haile Selassie in late 1974, Ali Mirah soon became a target of the military leaders because of his alliance with the Emperor, his semi-autonomy, and his role as a feudal landowner. On 3 June 1975, the sultan fled to Djibouti and formed the ALF that declared an armed struggle against the Derg. After the Derg’s downfall the ALF supported EPRDF and participated in the 1995 elections for Afar Region’ council but fared woefully, winning only 12 of 48 seats, because of internal squabbling. The Alf suffered from an internal dispute between Habib Ali Mirah, who was hostile toward Meles Zenawi and his pro-EPRDF brother Hanfraeh Ali Mirah, who was president of the Afar Region. In April 1995 the sultan suspended his son, Hanfareh Ali Mirah, as ALF chair in response to electoral dissention within the Front. More than one millions Afar lives in Ethiopia. Theses nomadic peoples are organized into the four Sultanates of Tadjourha (Djibouti), Rahaital (Eritrea and Djibouti), Baylul (Eritrea) and Aussa (Ethiopia). The 14th Sultan of Aussa will be coroneted in the traditional procedure. Those counted as living in Eritrea were not living in Eritrea before 1993! The Afar people are a very proud nation with rich history of fierce independence and excellent Sultanate federal administrative system. By “federal” i am not referring to the present EPRDF Ethiopia, but to the historic tribal/sultanate federal structures of the Afar nation’s traditional administration. Like the Kurds, since 19c the Afar nation and land has unfortunately been curved into 3 to make up part of present day Yibouti (Djibouti), Eritrea and Ethiopia, making the Afars an oppressed minority in all 3 countries. I hope the patriotic leaders of the Afar nation will focus their energies and attention on spreading education, health care services and corrupt-free administration to enhance sustainable development in Afar region. My Best wishes and love to this great Nation – Afar.